Playluggage – a company in Tallinn that produces suitcases equipped with board games, has found several external markets for its products, including the German Galeria Kaufhof stores, which are owned by the Metro group. The company has plans to move the production of their suitcases from China to Estonia in the coming years. Playluggage suitcases stand out from regular suitcases by their shape and colours. And they have an extra function as well – you can draw and play various games on the suitcases. 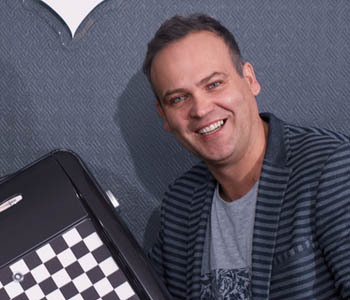 Martin Rungi, Sales Manager of Playluggage, said that their initial idea was to produce colourful and durable suitcases that would stand out on the airport baggage carousel. The good looking, durable and entertaining Playluggage suitcases were born after that idea was connected with the opportunity of spending one’s time in a fun way. The company has now focused on external markets. Last spring sales managers Leila Tamm and Martin Rungi travelled to Cologne with nine suitcases in order to introduce their products to the suitcase category directors of Galeria Kaufhof – one of the largest shopping centres in Germany.